A federal judge has ruled that prison officials in California can force-feed the state's hunger-striking prison inmates if they deem it necessary. 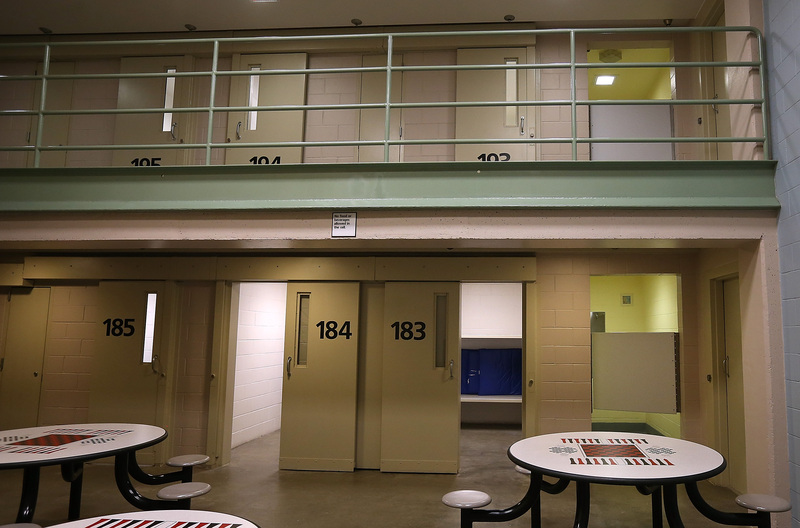 Nearly 130 prisoners haven't eaten in seven weeks. Official policy in the state is to let striking prisoners starve to death, as long as they've signed a DNR ("do not resuscitate") waiver. When the strike began, 30,000 prisoners (of California's total 133,000) were rejecting all meals, and prison authorities have pinpointed 70 inmates who are dangerously close to starvation. The judge ruled that those prisoners may be force-fed. Originally implemented as a solution to gang violence with the intention of separating and punishing the perpetrators, the system has led to many suspects being kept in solitary confinement for years. The psychological effects of solitary confinement are well-documented: the policy been described as torture, and as "cruel, but not unusual." Force-feeding, though by some to be unconstitutional, has been practiced in Guantanamo Bay for years, to much controversy. Rapper Mos Def attempted to undergo the process as it occurs on terrorism suspects in Gitmo in July, but couldn't ultimately go through with it. In some countries, it's officially a form of torture. The Californian inmates have requested fruit and vegetables in liquid form, but the judge granted the force-feeding request regardless. Force-feeding involves thick tubes being wound down the nose and throat into the stomach. You can read a graphic, first-person account of the practice here.